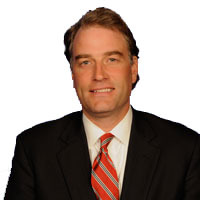 Congressman Robert Hurt’s (R-Virginia) released a statement after voting in favor of H.Res. 644, a resolution of disapproval of the Obama administration’s failure to comply with the lawful statutory requirement of notifying Congress 30 days prior to the release of detainees from the United States Naval Station at Guantanamo Bay, Cuba. · On May 31, 2014, the Department of Defense (DoD) released five detainees from Guantanamo Bay, Cuba to the state of Qatar, as part of an agreement for the release of U.S. Army Sergeant Bowe Bergdahl. · Section 1035 of the National Defense Authorization Act (NDAA) for Fiscal Year 2014 requires that the Secretary of Defense notify relevant congressional committees at least 30 days before transferring or releasing individuals detained at guantanamo bay. · Section 8111 of the FY 2014 DoD Appropriations Act prohibits funds from being used to transfer any individual at guantanamo bay except in accordance with section 1035 of the FY 2014 NDAA. On August 21, 2014, the Government Accountability Office found that the DoD violated this legal provision. · In addition to condemning and disapproving of the Obama administration’s failure to comply with the lawful statutory requirement of notifying Congress, H.Res. 644 also expresses serious concern about the national security risks associated with this prisoner transfers and repercussions of negotiating with terrorists, even when conducted through intermediaries.